Are you sure these themes work for K300. K500i/K508i have a larger screen in pixels as well as having 12 instead of 9 icons in the main menu. Will these themes really fit in K300? Tune up your K300i with awsome Themes , and other cool stuff. Download all the K500i/K508i Super animated themes on your K300i. you will need to create an account / web / wap for your personal downloads on PC , Mobile. please open Free Themes link after getting Register > then Abstract link. 128 * 96 and 174 * 144 Pix Size. Video of K300i is surprisingly very good then its picture. Read and Search the Holy Quran. Quran Reader provides Arabic with verse by verse english translation. Supports MIDP 2.0 java-enabled phones. Note: Mobile must support .jar files larger than 850KB and screen width should be at least 128 pixels wide. does this phone,the k300i, have video camera? Then Text Message>Scroll down until Delivery Appears>Select ON or OFF . SE K300i Beat the most of highly PRiced NOKIA's and other, in Java Games Running SPEED. for those who love mobile java games ,and also new BUYERS take a look at the page. I haven't had a single SW problem now for over 6 months ... quite stable if you ask me... K300 is in my opinion much much better than T230. T230 is based on T68 inside. K300 is based on K700 inside - two generations later than T68! I have not tried "switch". I would be careful to go around believing K300 is a true music mobile phone. The main reason for mp3 playability is to use it as ring signals. The IR should work with any other IR than works towards other computers. The joystick is perhaps 3,5-4 out of 5 possible. It works ok, but nothing spectacular. You can video as long as the momory permits (you have to adjust the settings, otherwise it constrains it to mms-format - around 6-8 seconds. Then it depends on how many other files you have in the phone (video, photo, mp3 etc. Total memory is between 10-12 mb. Colnagoguy, thanks a lot man.T230 was a horrible handset i have ever used,full of bugs ,prblms ,no network.is k 300 better than T 230 and its predecessor?? and one more thin some body told me that we can store more than 10 + mp3 in K 300 in a compressed format!is it true?a software called "switch". all the phones you mention have inferior displays compared to K300. The T610 has a somewhat larger display (128x160 - K300 has 128x128), but it was optimized for contrast which meant that it was quite difficult to see in the sunshine outdoors. This display is easier to read outdoors than T610 and is somewhat better (newer generation). SO if you like the T610 display you will like the K300 display. Good luck! Colnagoguy , well earlier i have used SE T230 ,samsung c 100 and now am using nokia 2600!! well i may buy k 300 i with in this week!! IMHO I think Asfand Yar has made a very good analysis. 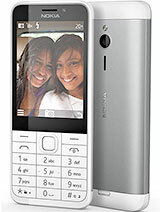 This phone is a compromise and the three things he states must have been cut by Sony Ericsson to save cost. Better diplay can be found on K500 and other more expensive phones. An even better display, more memory and bluetooth can be found on K700. A real MP3 machine and a MP camera worth it's name can be found on K750 and W800. These phone also have the possibility to accept memory cards. I promise you that the blue triangle is the GPRS indicator. It just means that the Phone has a GPRS signal; not that it is fully activated and using it. Below you have the GSM signal indicator which can vary 0-5 staples (what you call "cascading squares" - this indicates how close you are to the base station your phone is connected to (how good GSM radio signal you have). But even when you have 5 staples, it doesn't mean it's fully active, does it? You are not always having a call, right? GPRS just means that you can wap and send/receive MMS quicker. Technically, you can still wap/send MMS with GSM; it's just much slower. The globe is an indicator that you are waping and if the blue light is on you are utilizing GPRS. thanks budddy..for ur instant reply.u seem to be the most active member on this forum! r u the Problem SOLVER for every one!